A tall, robust and rather handsome species which is increasing and spreading along roadsides and railway tracks, but is still fairly local in its occurrence. The flower-heads are large and reminiscent of Sonchus arvensis. 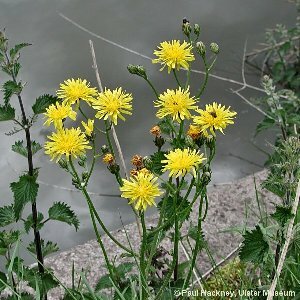 All names: Crepis biennis L.